Damion Brissett is charged with second-degree murder. 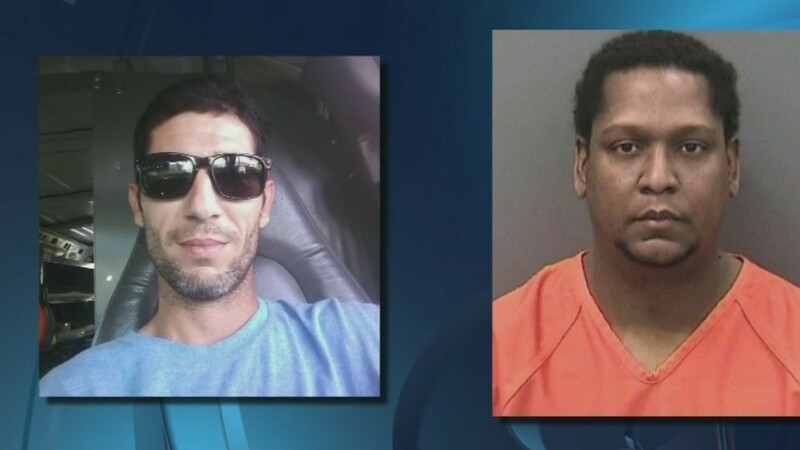 LAND O' LAKES, Fla. — Pasco County sheriff’s deputies arrested a man suspected of killing another man in a January road rage shooting. Damion Brissett, 40, is charged with second-degree murder. He is accused of shooting Scott Ryan Bartolotti, 38, on Jan. 15 at Collier Parkway and State Road 54 in Land O’Lakes. Brissett claims Bartolotti rear-ended him at the intersection. Brissett remained on the line until a deputy arrived to retrieve the gun. However, an investigation found Bartolotti’s car was moving away from Brissett at the time of the shooting. Deputies spoke with three witnesses at the scene. A medical examiner ruled Bartolotti had a gunshot wound to his left shoulder and ruled his death a homicide. First responders took Bartolotti to St. Joseph’s Hospital where he died of his injuries.